The numbers matching motor in this 1970 Plymouth AAR Cuda was rebuilt just 200 miles ago according to the seller in Terre Haute, Indiana. We’re told this is a real FM3 (Moulin Rouge) and comes with original sheet metal, power steering, power brakes, and cosmetic enhancements by Ken Mosier of The Finer Details. Other features include physical authentication by Dave Wise of Extremely Rare Car. 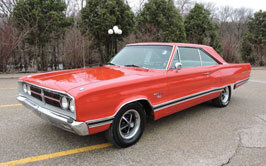 It has an 727 automatic transmission, which is not numbers matching as noted in the ad. Click through to learn more! The latest additions to the collector car market arrive each week compiled in the Cars On Line Newsletter! 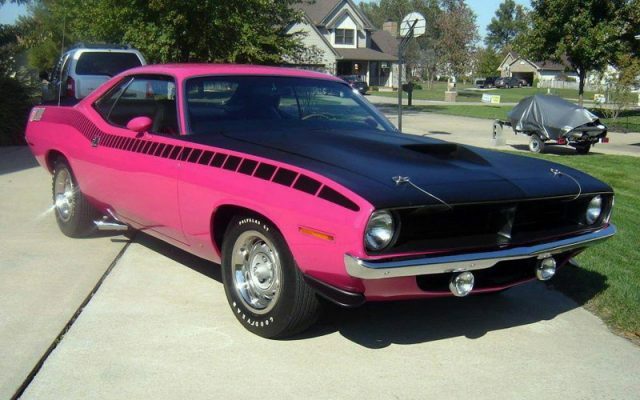 Click here for this week’s edition, or skip right to the Mopar Muscle Cars Section to see more like this 1970 Plymouth AAR Cuda. You can see everything for sale by visiting Cars On Line or the Cars On Line Mopar Muscle Cars Section.